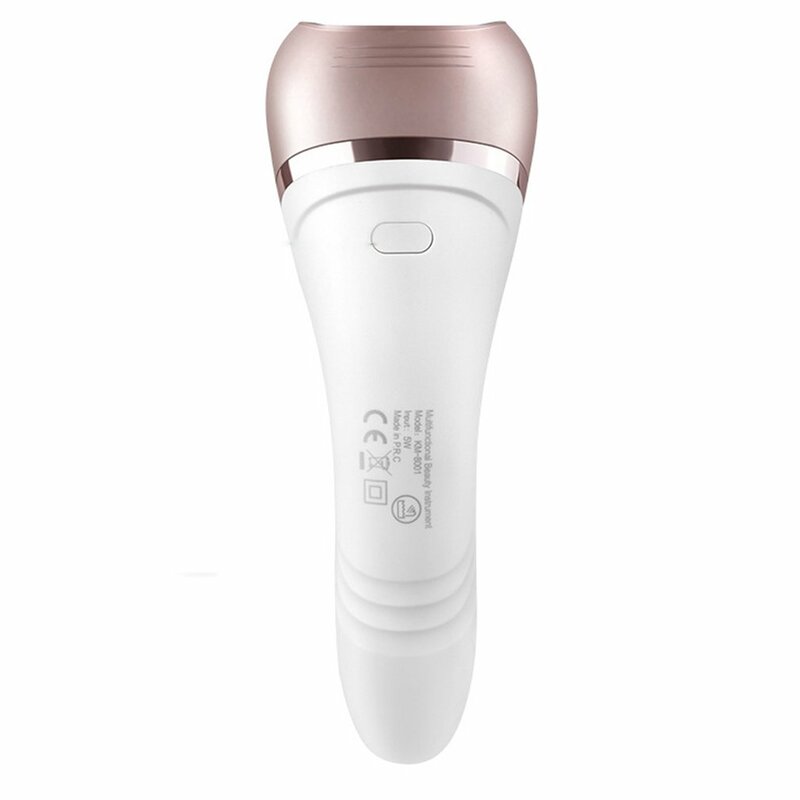 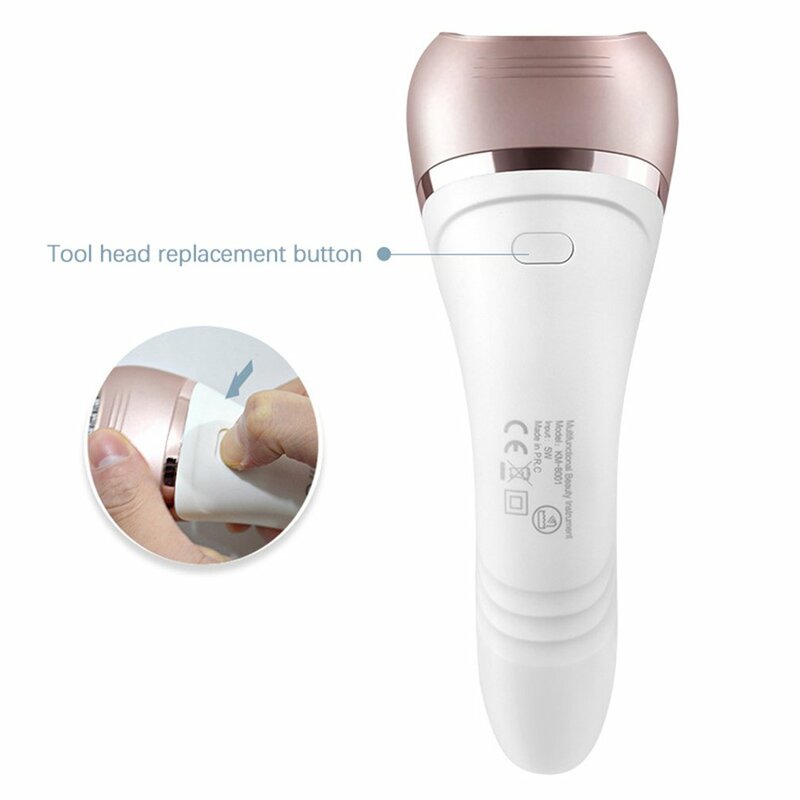 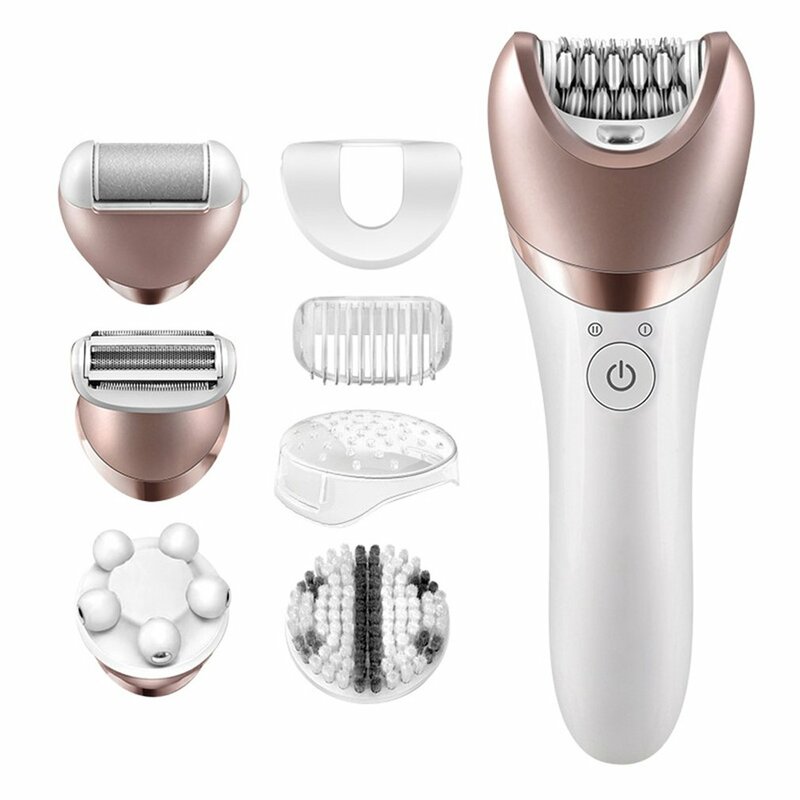 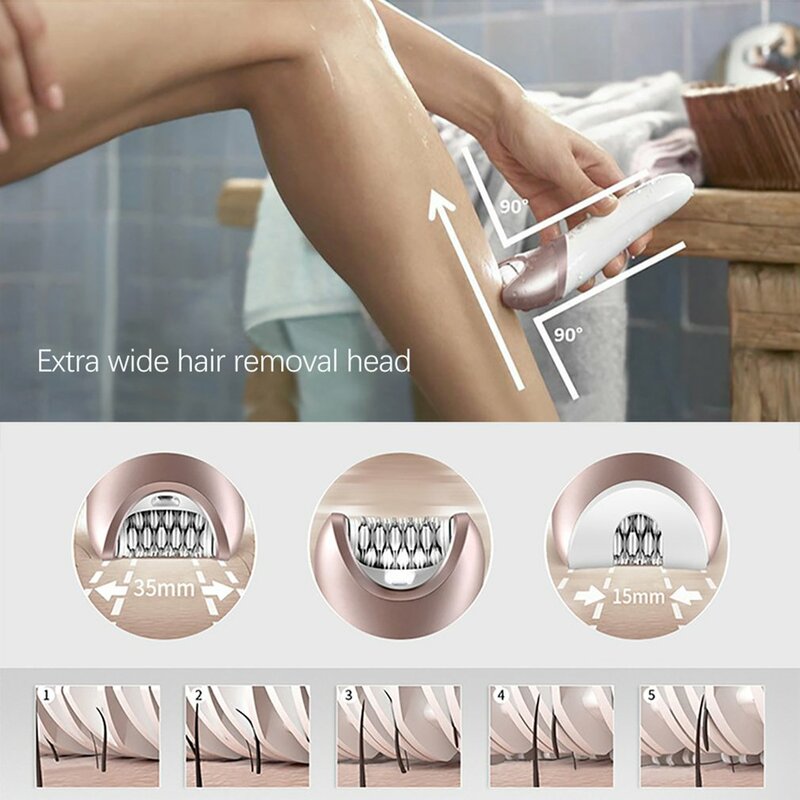 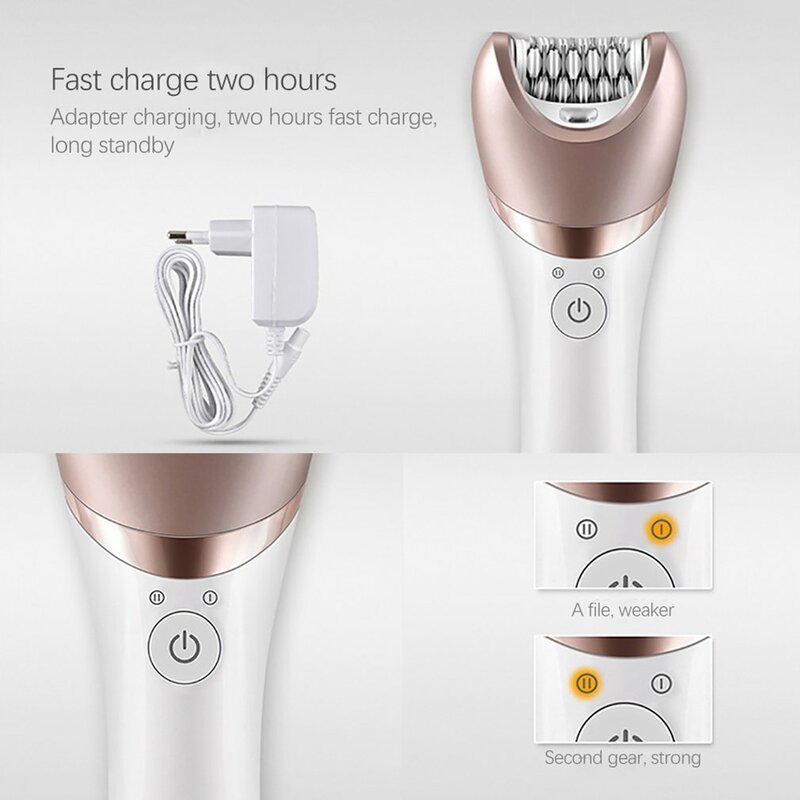 It is a multifunctional appliance with 1 epilator head, 1 shaver head, 1 facial cleaning brush, 1 massage head and 1 callus remover head to meet different requirements. 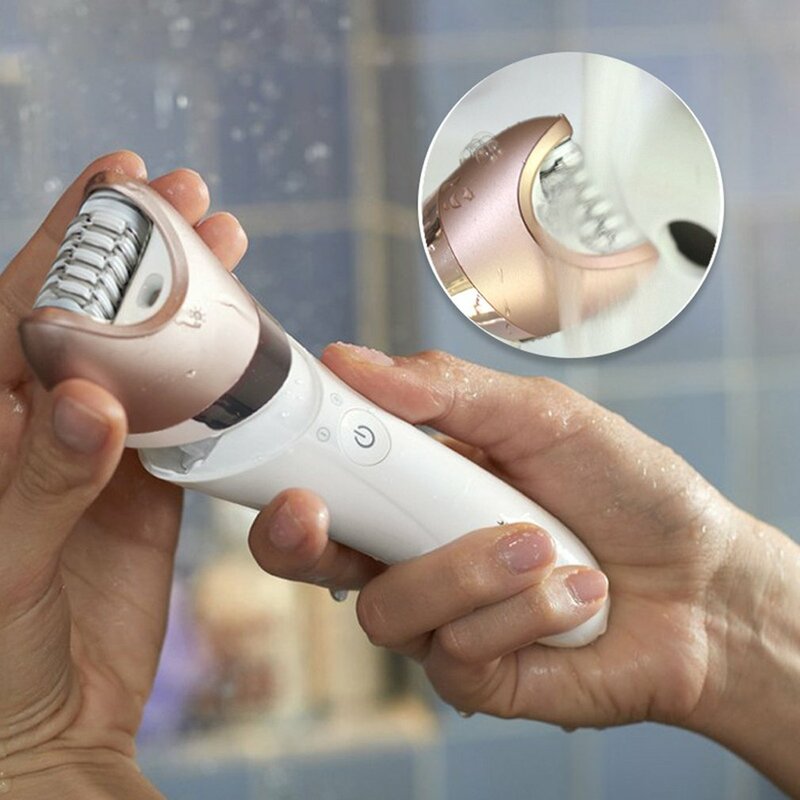 Designed to contour your body and remove even the finest hair from legs, face, armpits, bikini line and other sensitive areas in short time. 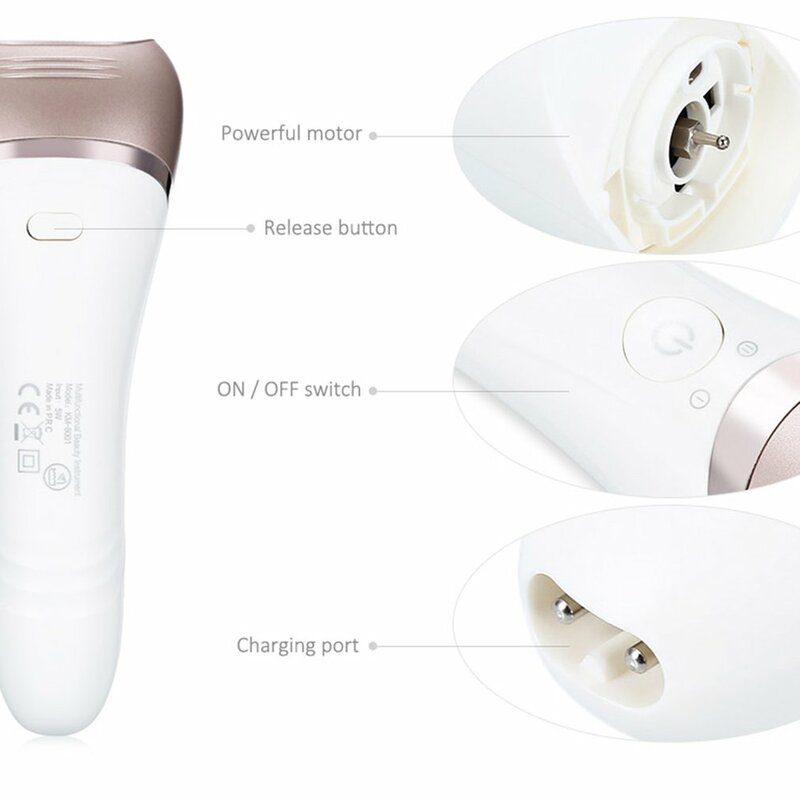 Always ensure you use the device at optimum power without the cord, and the smart light design is convenient to you for precise epilation. 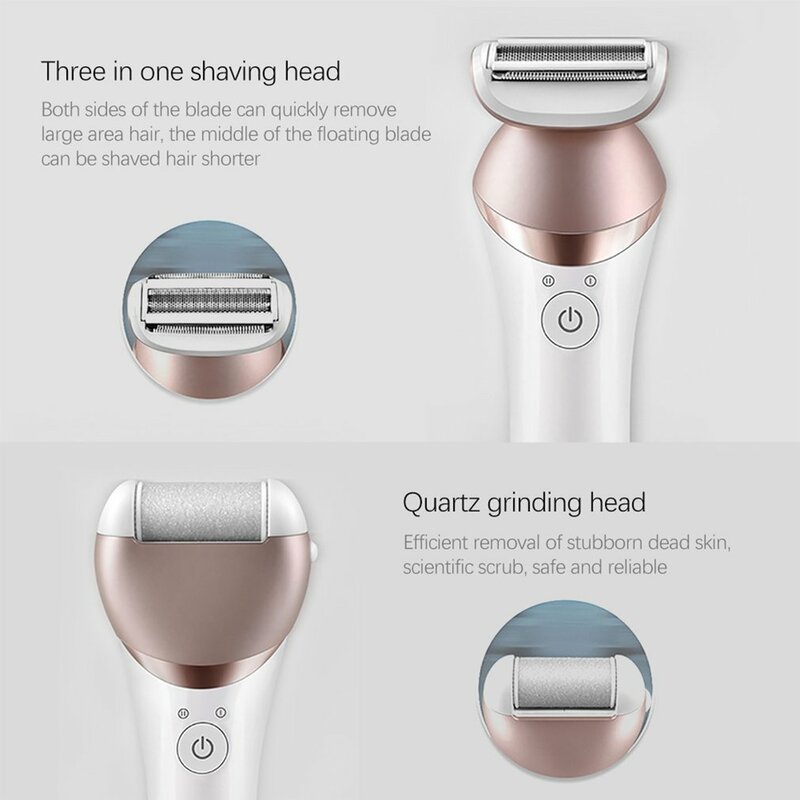 2-speed operation for different hair types (fine or coarse hair) for great efficiency, safer than scrapers.